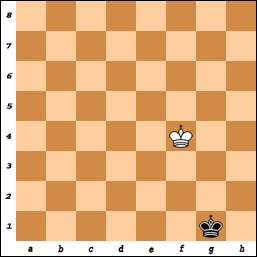 It doesn’t get any more drawish in chess than two lone kings. This is the position in which Hikaru Nakamura, playing Board 1 for the New York Knights, finally agreed to a cessation of hostilities with grandmaster Gregory Serper of the Seattle Sluggers. They could have called it quits earlier, but the feisty Nakamura, fresh from a satisfying first-place finish in this past weekend’s Miami Open, always tries to squeeze the juice out of any position even when there is not a drop of juice to be had. The funny thing about the final position is that it is impossible to lose, even for someone entirely new to the game. You could draw this, dear reader, even if you don’t know how to play chess. So feel good about yourself for being able to hold your own in this position against the hottest and most aggressive young player on the U.S. chess scene. Last night, the New York Knights finally won their first match in the U.S. Chess League. They whupped Seattle 3-1, with international masters Irina Krush and Jay Bonin scoring easy wins and Irina Zenyuk joining Hikaru in drawing.